One of the many things I love about Cheerios is their commitment towards reading encouragement. Cheerios has given away over 40 million books free inside Cheerios boxes in the past eight years. As a huge proponent of reading… this makes me happy. So when I received a free box of Cheerios, five books (where one of each can be found “free” inside Cheerio boxes right now) and a $25 Barnes & Noble gift card (Cheerios provided me with the free product, information, and prize pack through MyBlogSpark), well… I was quite excited. Sleepyhead, written by Karma Wilson and illustrated by John Segal: In this rhythmic bedtime story, a cat is the parent and a teddy bear is the child who doesn’t want to go to bed. All ready for bed with teeth brushed and story read, Sleepyhead teddy tries anything to prolong his bedtime; books and his quilt provide ample fodder for his imagination. Ages 3-7. Ballyhoo Bay, written by Judy Sierra and illustrated by Derek Anderson: Mira Bella, an artist who teaches painting and sculpture, loves Ballyhoo Bay and what it offers: sun, sea, sand, and sky. But one gray day a billboard arrives, announcing an impending development that would take all the fun out of the place. Read along to see if Mira Bella and her art can save the day and Ballyhoo Bay! Ages 4-8. What´s Under the Bed?, written and illustrated by Joe Fenton: Young Fred cannot stop worrying about the scary creature that might be hiding beneath his bed. Finally summoning the courage to peer under his bed, Fred, with his cumbersome glasses, sees that the only thing there is Ted, his friendly Teddy Bear! Ages 3-7. Oh, wait… I need to clarify something. He didn’t read Tea for Ruby, because… duh, it’s for girls. He did however, let me read it to him – since I am a girl. My son also couldn’t wait to go to Barnes & Noble to use his (yes, it was his) gift card. And with it he bought Naked Mole Rat Gets Dressed by Mo Willems and The Runaway Mummy by Michael Rex. Now, I have some great news for YOU! If you would like a free box of Cheerios, the 5 books and your own $25 Barnes & Noble gift card… here’s your chance. All you need to do is leave a comment sharing with me what your story time ritual is with your children. Become a fan of Blog by Donna on Facebook (in the right sidebar), leave another comment saying your a FB fan and get 2 extra entries. Just remember to leave a seperate comment for each thing you do from the above list. This contest ends Monday, November 9, 2009 at 5:00 pm EST. 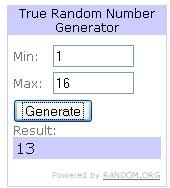 At that time I will draw a winner using Random.org. I will notify you by email and you will have 48 hours to reply. If you do not respond by that time, a new winner will be drawn. So don’t miss out on this great prize and Good Luck! Congratulations to Anna – commenter number 13. We have read to our kids before nap and bedtime since they were babies. They also love to read throughout the day. Currently, they like to read with all of us on our tummies on a blanket. We take turns reading to each other every night. It’s our special time! Reading is the foundation to a good education. We make it a priority in our home and ready every night. I have my kids select a book of their choice each night and they take turns, and we gather around in my bedroom and read it. The next night it is the other child’s turn to pick a book and so on. We go to the library too to pick out our books and we buy the schools scholastic book sales too. #1 I’m a email subscriber. #2 I’m a email subscriber.